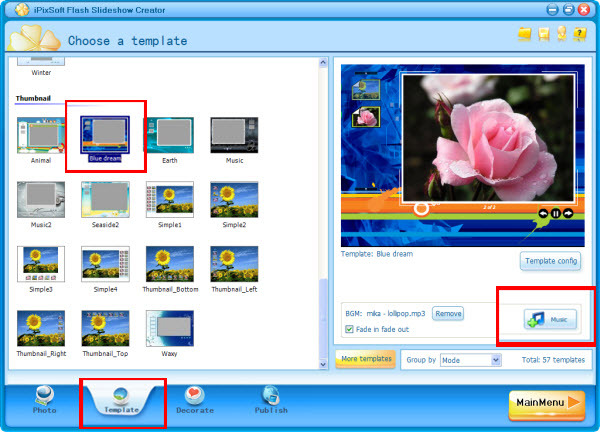 This step by step flash slideshow tutorial will guide you to turn your photos and music into Graduation Slideshow using slideshow software called iPixSoft Flash Slideshow Creator. Now let's begin the slideshow journey. First, check the box to disable "Intro and End" because we don't need them for this flash banner. Second, click the effect box to select from 70+ transition effects include swift and push effects. Here I select a swift as the pictures below and apply it to all slides. You can choose each slide a effect and set the transition and photo duration. And then, add some text for the graduation slideshow. Click "Publish" panel. 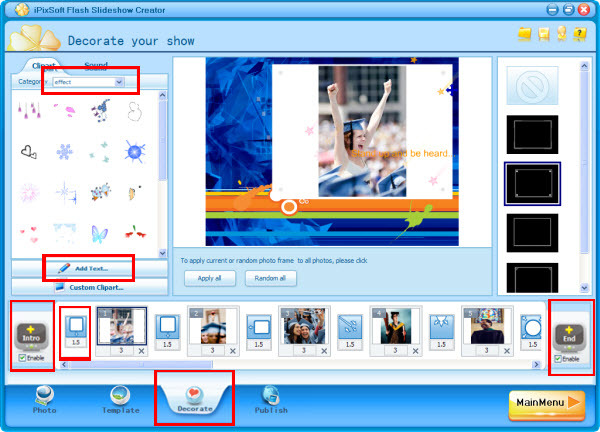 Set output options such as Size, Flash option, Preloader, Photo option and Loop Style before publish the graduation slideshow. 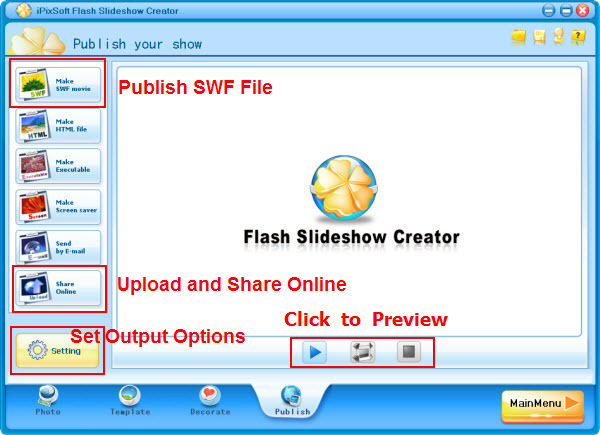 You can output the flash banner as SWF file, Html File, Executable, Screen saver or Send by Email with Flash Slideshow Creator. Otherwise, share online feature can help you to upload the graduation slideshow to iPixSoft web server if you did not have your own web hosting. 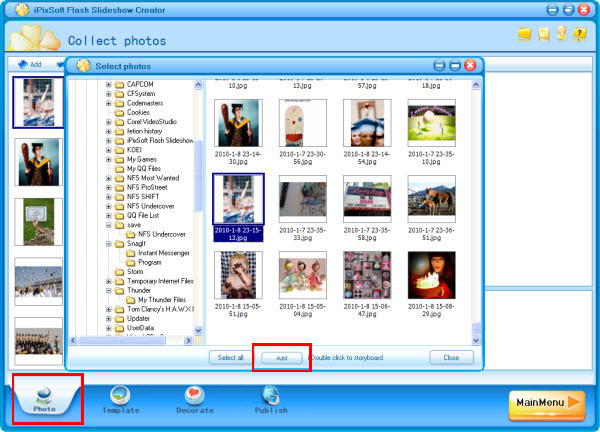 After uploading the flash banner to iPixsoft web server, you can get the html code. Simply embed this code to your website page, blogspot, wordpress, Myspace blog, Facebook, etc.